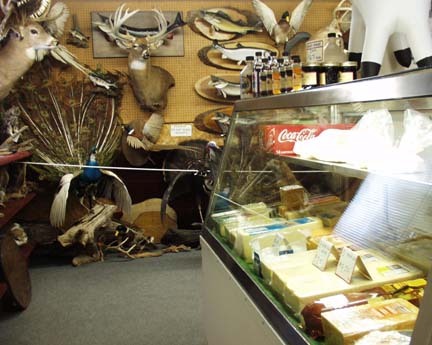 Upon exiting I ran into Dave…he is the husband and runs the taxidermy side. 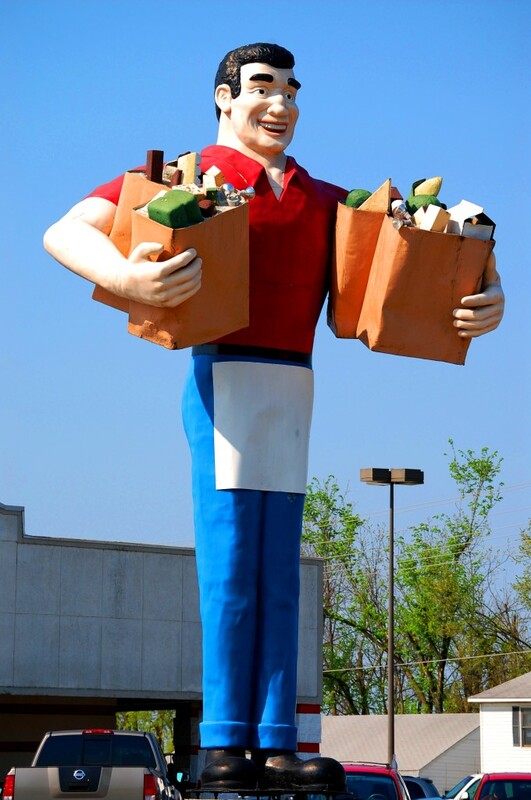 His wife runs the cheese store. 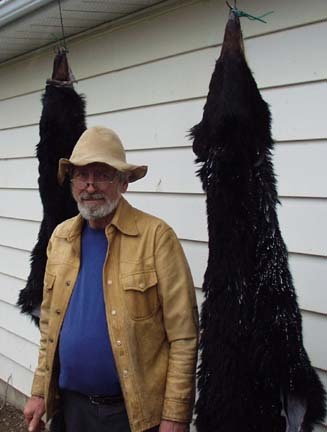 Dave was out tanning some bear hides. He told me some interesting stories. 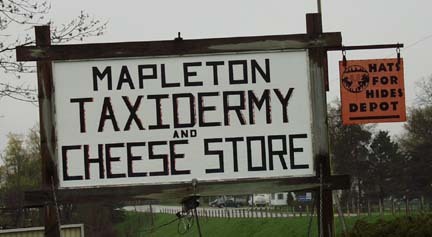 If you are ever in southern Ontario and making your way to Sparta (which is really a cool and unique little town in and of itself — see my Trip Journal), make sure to drop the Taxidermy and Cheese Store in Mapleton. 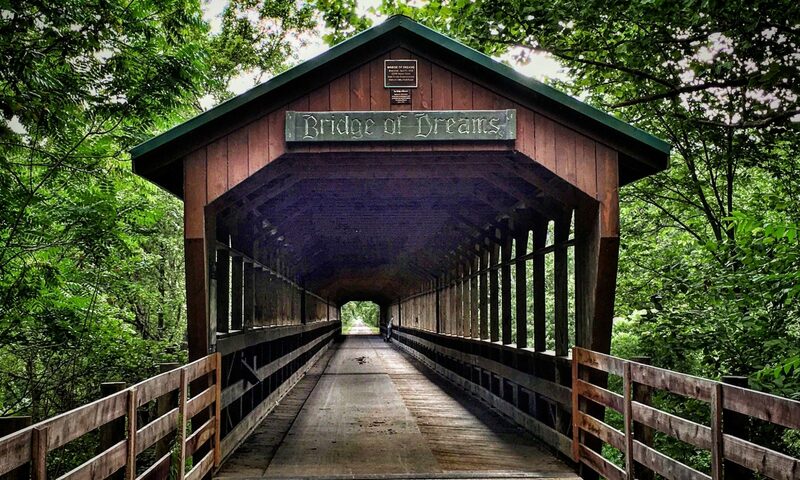 This blog entry not only includes a unique name of a town, but is now introducing the second theme of this blog…the big statues and unusual sites along the road. 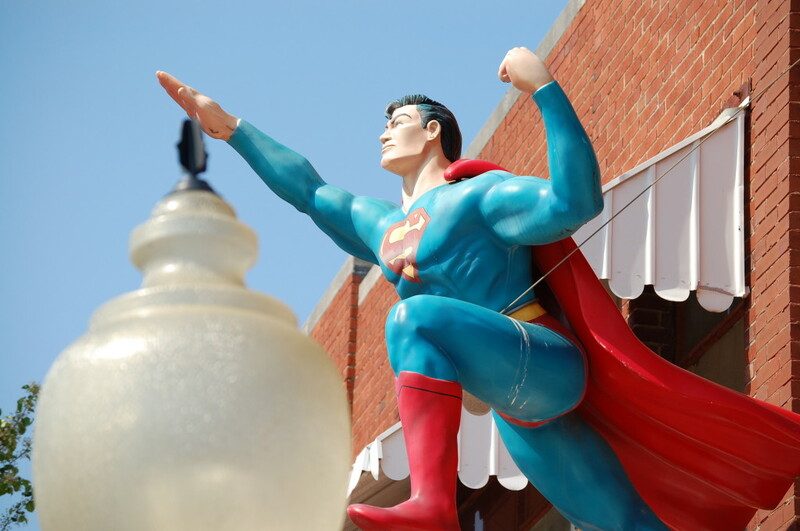 Metropolis is the home of the Giant Superman Statue – a 200 foot tall statue of the Man of Steel. 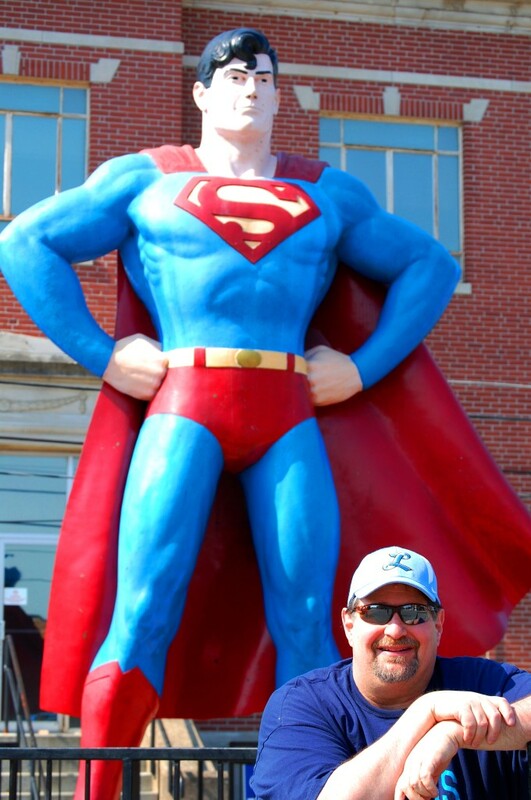 Funny thing is, as I drove into this town, the first big statue I saw was in front of a grocery store and was NOT the Giant Superman Statue!! 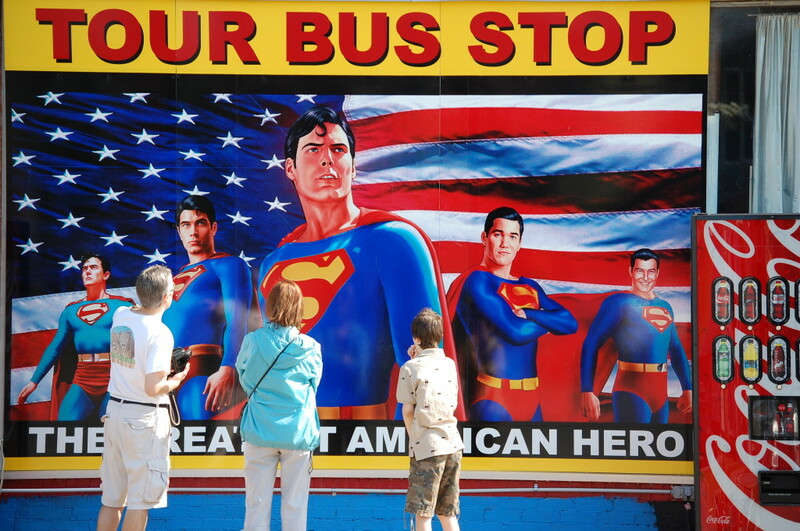 The town is really all about Superman.